For a distribution network that constitutes a number of ring shaped grids, the ring main unit (RMU) acts a variant of switchgear and works at a nominal system voltage of 11KV. Since these are dangerous and essential switch devices in a distribution network that aids in supplying power from back-up system in case a hindrance in main supply source. RMU are used by delivery transformers to measure, meter, and provide uninterrupted power supply and are vital for ensuring consistency of a grid system. With rapid urbanization across the world, the demand for consistent power supply and conservation is mounting. Consequently, the demand in the global ring main unit market is expected to increment at a robust rate during the forecast period of 2017 to 2025. 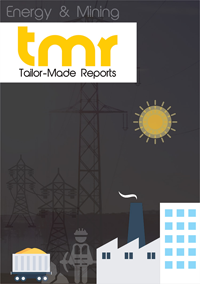 Across several countries, modernization of existing power infrastructure is underway, and increased emphasis is now being given to increasing the capacity as well as enhance the distribution network in order to meet the escalating demands. This are the primary factors driving the demand in the global market for ring main unit. Moreover, in order to ensure uninterrupted power supply, a number of end-use industries are installing ring main units as secondary distribution source. This factor is also expected to favor the demand for ring main unit in the near future. On the other hand, preference of conventional switchgears for lower cost than ring main units is hampering the market from achieving its true potential. On the basis of type, the global ring main unit market can be segmented into gas insulated, oil insulated, solid dielectric insulated, and air insulated. In current scenario, has insulated ring main unit segment has the maximum demand, owing to its applications in railway systems, power grids, wind power plants, mining, and underground installations. Gas insulated ring main units are easily integrated with the existing system. Application-wise, the distribution utilities segment is most lucrative in comparison to industries or infrastructure and transportation. Across several developed and developing countries, owing to growing pollution concerns, the emphasis on renewable energy is escalating, and those governments are offering favorable mandates. RMUs are now frequently integrated with in solar power plant and help in minimizing power losses as well as enhance safety with reduced cable lengths. This development is expected to open new opportunities for the vendors operating in the global ring main unit market. Asia Pacific and Europe two most lucrative regions for the vendors operating in the ring main unit market. In Asia Pacific, India and China are the leading country-wide markets due to increasing demand to electrify rural areas, increasing power capacity of power plants, and implementation of smart grids. Japan leads among the Southeast Asian countries, strategically expanding their power facilities to establish an active distribution network. Countries such as Malaysia, Vietnam, and Indonesia are also posed to expand the demand for ring main unit. The demand in European ring main unit market is driven by incremented focus on renewable energy. European Unions’ energy directive, which requires the members to achieve at least 20% of the demand from renewable sources, has gone a long way in advancing and producing energy in the region. As the directive requires the EU members to ensure at least 27% of energy consumption from renewable sources by 2030, Europe is expected to turn into one of the most profitable region for ring main unit market players towards the end of the forecast period. Honeywell, Siemens, ABB, General Electric, Eaton, Schneider Electric, Larsen & Toubro, Entec, LSIS, Lucy Electric, Ormazabal, Toshiba, Yashmun, Tiepco, Yokogawa Electric, Azbil, NovaTech Process, and Rockwell Automation are some of the leading companies currently operating in the global ring main unit market.